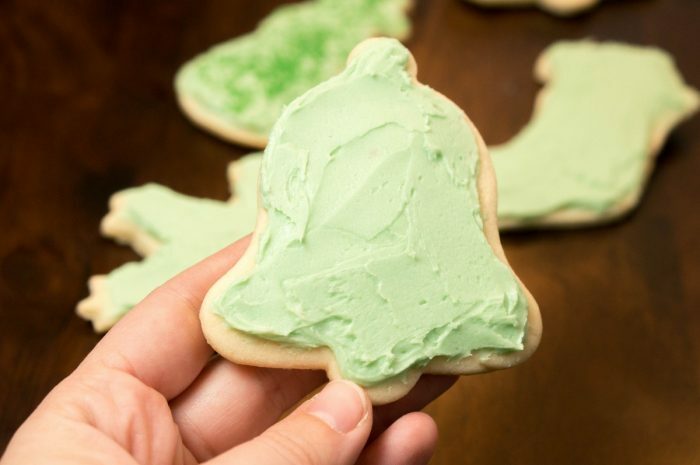 The softest sugar cookie recipe you’ll ever find. 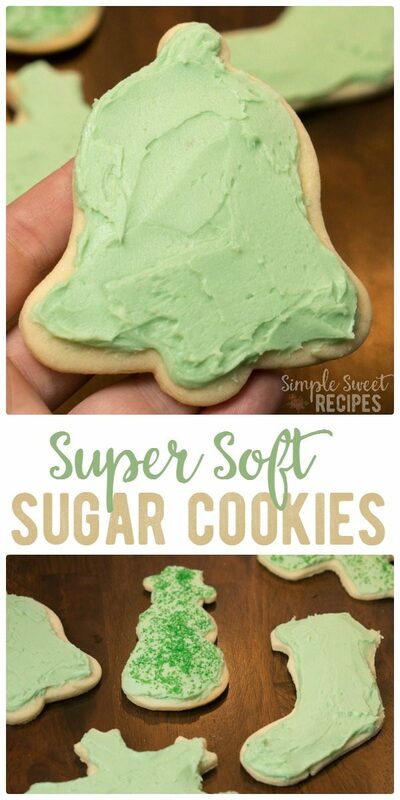 These super soft sugar cookies are worth all the effort of mixing, rolling, cutting, baking, and frosting! My family had a tradition every year, baking my grandma’s soft sugar cookies recipe together. It was without fail my entire childhood and even into my boys childhood memories. 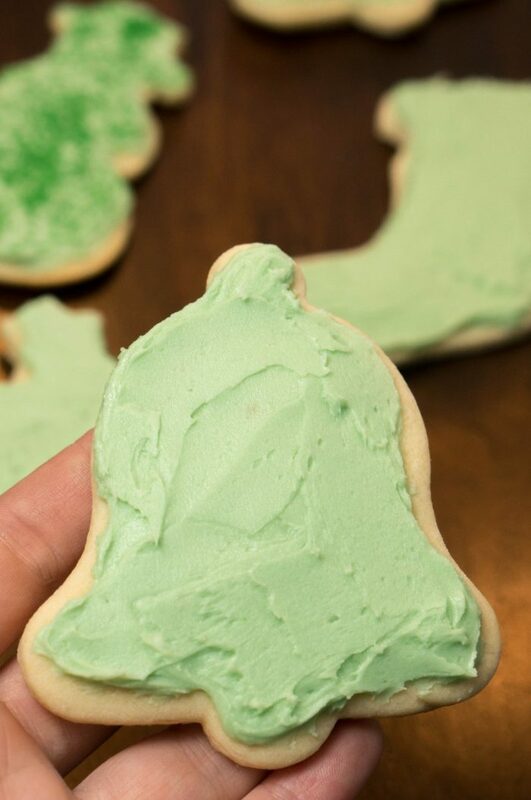 This past Christmas we moved across the country and we knew it just wouldn’t quite be Christmas without our favorite Christmas cookies and those treasured memories we share! It’s all the mixing and flour. The rolling and snitching some dough to snack on. 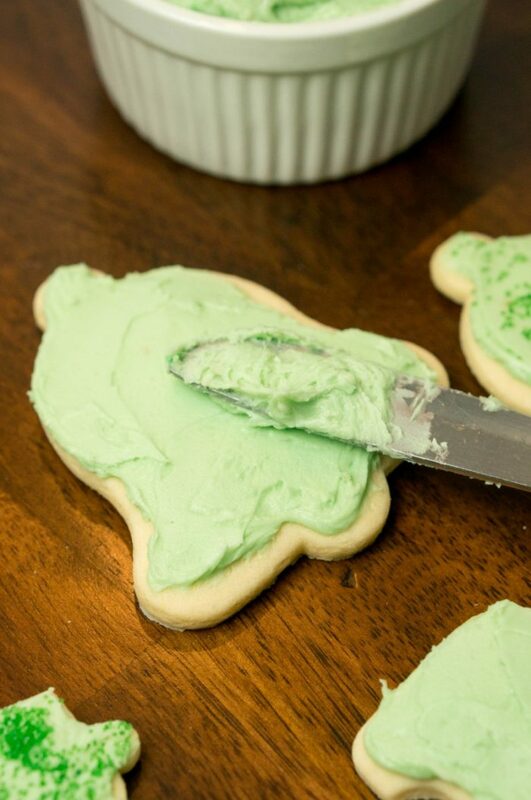 The cutting and the frosting. And of course, the reward at the end. The best soft sugar cookies ever! The are thick, and soft, and so, so, good! 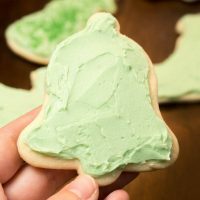 My grandma’s secret recipe always included a special ingredient I’ve never seen in another sugar cookie recipe, that is the key to this recipe’s yummy taste! Just a dash, a tiny hint, of lemon! It may sound weird, but trust me when I say it makes both the dough and the cookies so incredible! Then, don’t forget to lather them in our super easy 4-Ingredient Powdered Sugar Frosting! Cream together the butter and sugar until well combined. Beat eggs into the mixture. Add milk, baking soda, vanilla, lemon extract, and salt. Blend until well combined. Add 3 cups of flour, mixing in one cup at a time until blended. Slowly add one additional cup of flour, only if needed.. You'll want your dough to be slightly sticky but form a solid dough. Transfer dough to the fridge and allow to chill for an hour and a half or overnight. Lightly flour your surface and roll out the dough to 1/8" thick (not too thick, not too thin). 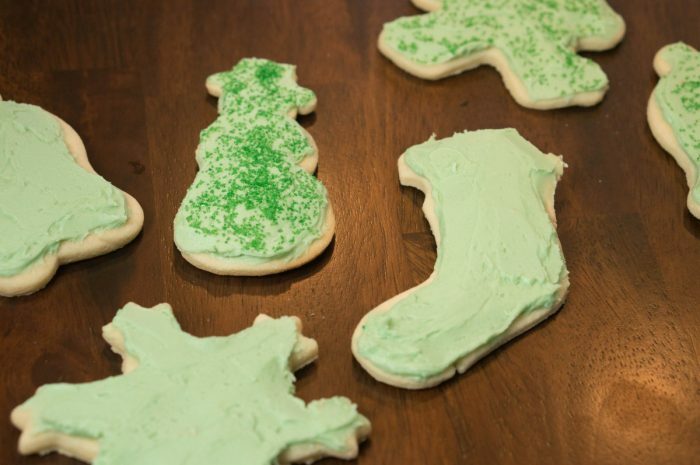 Cut our shapes with cookie cutters and placed cut dough onto a baking sheet. Bake 8-10 minutes at 350*F. Watch for the cookies to just start to turn golden. If you cook them too long, they will not be soft. Frost with our Powdered Sugar Frosting recipe and store in an air-tight container. I love soft sugar cookies. When my Mom used to make them it seemed like half the time they were hard. Will pin this and give me a try. I bet it’s the secret ingredient that makes em soft! Those cookies look so good! 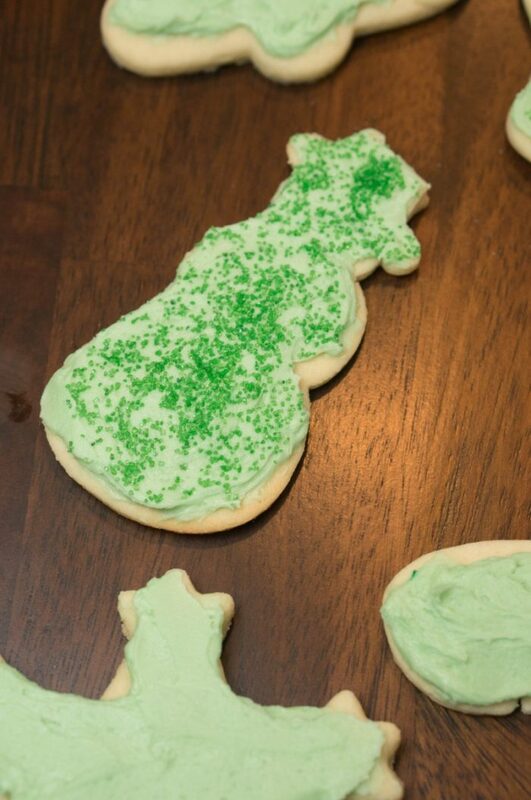 Frosted sugar cookies are my all time favorite, so I can’t wait to make these. I love sugar cookies. I can’t wait to try out your recipe! Your cookies look really yummy! I love sugar cookies. 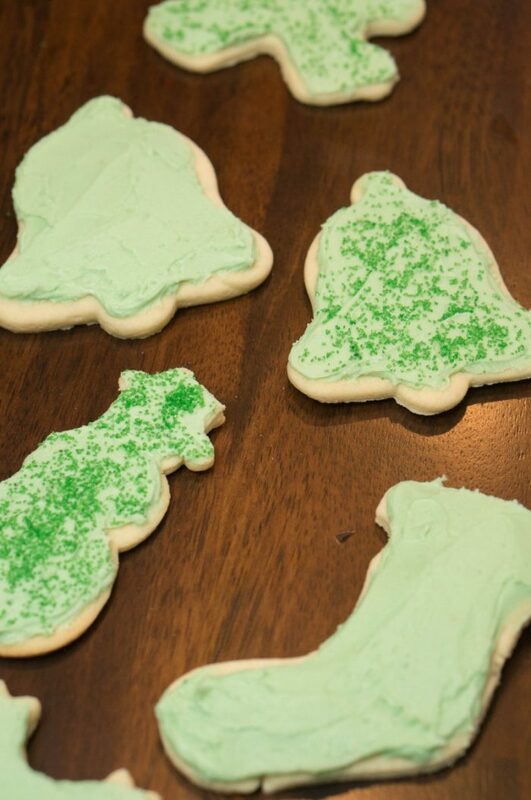 They are my absolute favorite cookie in the world, and they’re even better with frosting! Om nom nom. Sugar cookies are one thing I let everyone else make. Mine never turn out right and this way I can spend more time eating them than making them! Tried this recipe used 3 cups of flour. Omitted lemon extract. Added 1/4 teaspoon baking powder. Rolled and cut them out in powdered sugar. Yummy. They turned out great. Do they have a lemon taste? Just a small hint of lemon! So good! Which is better for soft cookies…butter or margarine? I usually use butter, but either will work. Can you substitute the same amount of almond extract for the lemon? I’m sure you could and they’d taste great! I’ve never tried it, so let me know how they turn out!